Close up of a wet and happy roseate spoonbill, public photo. 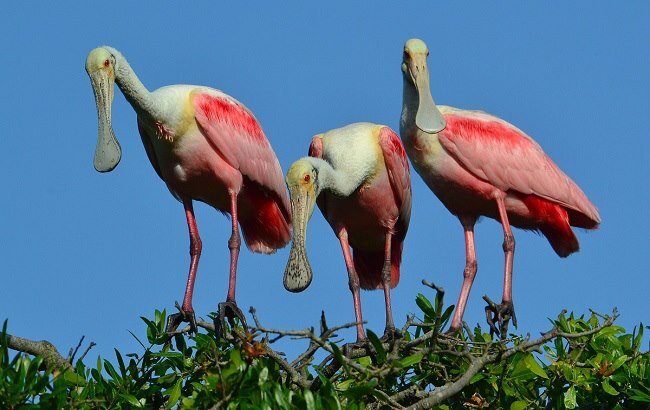 I imagine if there is a dream of the roseate spoonbill, it would be for more water to be on the land…The recent heavy rains and local flooding have been a smorgasbord and reminder of better days for our local shore bird communities. In Sewall’s Point, a group of as many a ten were reported foraging both along North and South Sewall’s Point Roads. What a sight! People stopping in their cars to see…taking pictures and posting on Facebook. 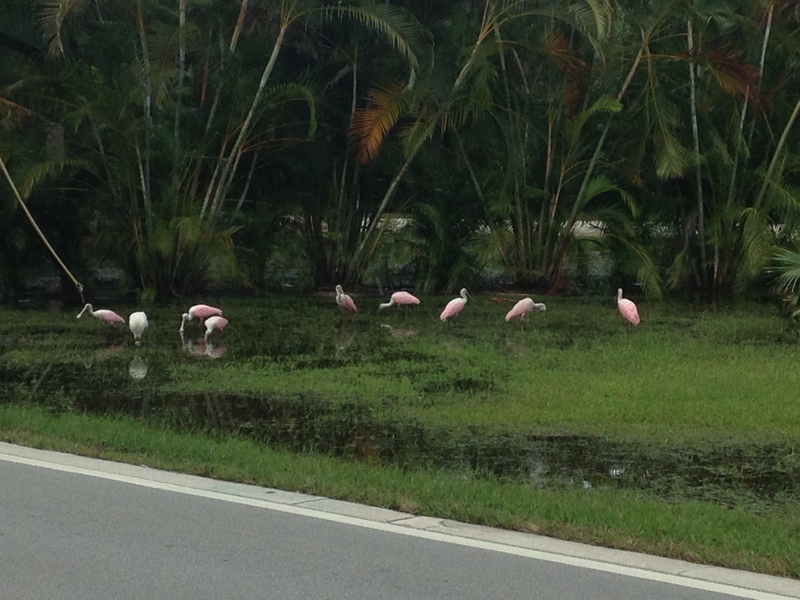 Roseate spoonbills along N Sewall’s Point Road, photo courtesy of Dr Dave Carson, 2015. Roseate spoonbill photo from my Greg Braun/Bird Island file, 2012. 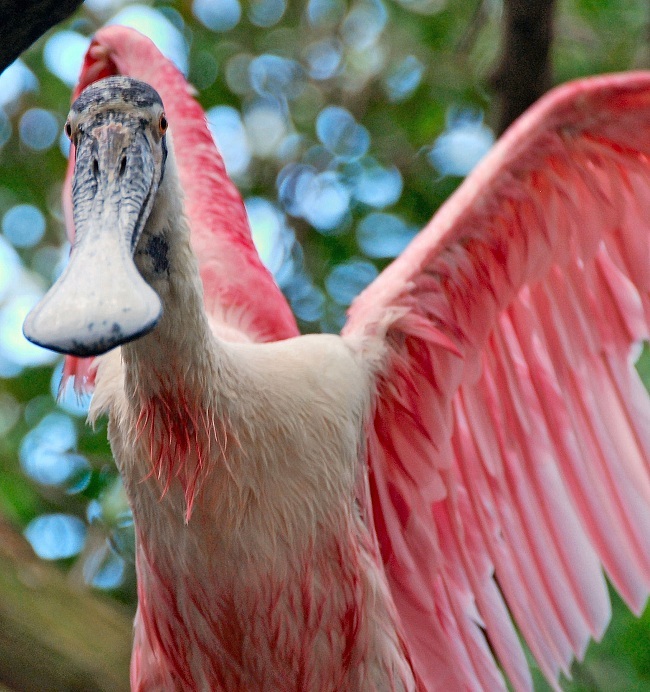 Have a good week, and when you are driving be sure to look up and see the dream of the roseate spoonbill–it is really the dream of all.